BELLA - Taste the Beauty! : Remind Me to Do That AGAIN!! Remind Me to Do That AGAIN!! Thanks to everyone who so wholeheartedly supported my late night idea for our BELLA EMPLOYEE FOR A DAY celebration! The shop was filled with very happy people, the Bellita Barristas made free Cafe' Latte's for at least half the population and Konnie McManus won the drawing for a $25 BELLA Gift Certificate! We want to say 'thank you' once more for a fabulous holiday season and another great year. 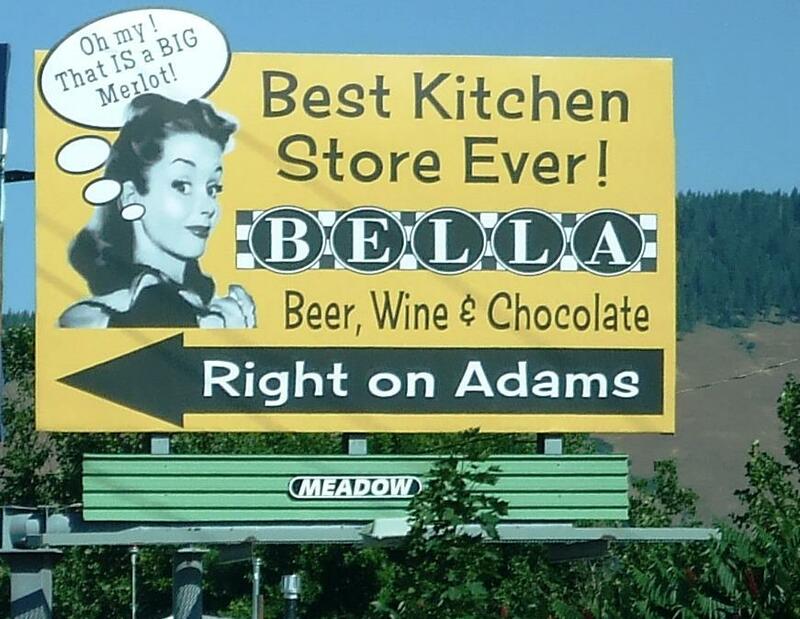 BELLA starts 2009 with an even stronger commitment to support our community by offering local and sustainable foods, great tools for the kitchen and the best made wines for the buck! We'll continue to be here 7am 'til 7pm- 7 DAYS A WEEK to answer your cooking questions, send you off with that special ingredient you didn't think you'd ever find in Baker City or just fix you up with a chocolate truffle and a really good cup of coffee. Oh yeah, and there's wine tasting everyday and GREAT WINE BUYS too! LOTS of new Thai sauces and ingredients - delicious and EASY! Protocolo, Vina Borgia, Borsao and Naia along with some wonderful new wines from France, Italy and Washington state! The hoar frost in the valley has been really amazing and I've seen bald eagles nearly every time I've gone through Haines this past month - foxes, hawks, owls and a magpie or two as well! I love having a digital camera, I don't feel so foolish taking dozens (hundreds!) of photos of trees, fences and brush animated by these lacey frosty days! The light has been so interesting and the 'contrast' of white on white has been fun to capture in pictures! I'm off to New York City this weekend for the Intl. Gift Show to search out good new things for BELLA (and to check out some traditional Italian markets in the Bronx!) I'll send out a full report next week!